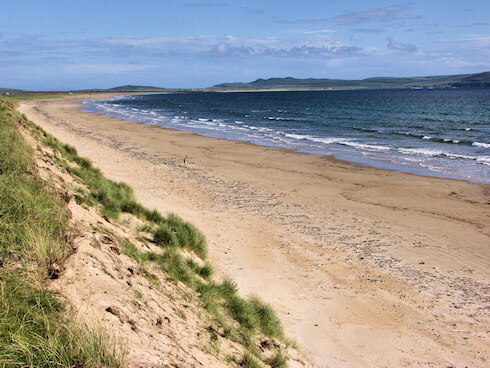 This view is from the dunes in the north looking south past the airport towards Kintra. I took this picture in 2002, but I don't think anything has really changed here. That's all I have for this evening. As usual I'll post the larger version (larger as in more than twice as big) on the Islay Pictures photoblog on Saturday morning. But now it's time for a well earned wee dram (or two) of Laphroaig Triple Wood Islay single malt. Have a nice weekend!